The Cornered Cat Out of my favorite top 10 Gun Blogs for women, The Cornered Cat is my very favorite of all! The Cornered Cat is about women and guns, not about cats. But in a way, it’s about the cornered cat in all of us. It’s about the determination to get away from an attacker if you need to. It’s about making the decision to say, “Not me. Not mine. Not today.” And it’s about the tools to make that decision stick. The author of the site is Kathy Jackson. She is a firearms instructor, a home school mom, a small business owner, a former magazine editor, and a freelance writer. She has over 120 chapters in her Table of Contents. 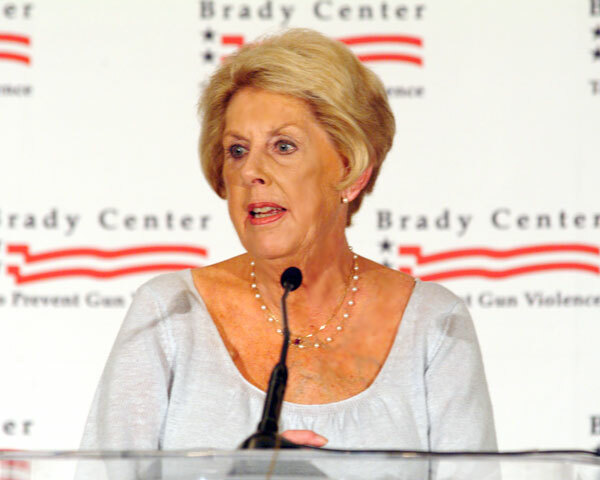 She cover’s topics ranging from basic firearm safety to legal issues surrounding self-defense to raising children around guns to the moral implications of deadly force and much, much more. Kathy is educating and inspire people to take personal responsibility for their own lives and their own safety. The Well Armed Woman The author of this site is Carrie Lightfoot. Carrie’s aim, at The Well Armed Woman is to educate, equip, and empower the female gun owner. She provides you with access to complete information, resources and quality tested products tailored specifically to your needs as a woman. Here you’ll find everything you need to make well informed decisions about the role of firearms in your life whether you are a new or experienced gun owner. 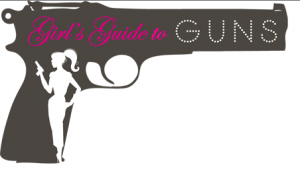 Girls Guide to Guns This page was started by Natalie Foster, who has recently become an NRA commentator. Girl’s Guide to Guns is a website dedicated to women who dig fashion and fire power. Think of it this way: if one day Vogue and Guns&Ammo Magazine fell madly in love, got married and had babies, this would be their favorite child. 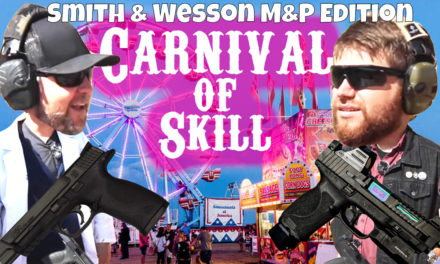 Whether you’re a champion shooter or have never picked up a gun in your life, they have got something for you. They are a little different from other gun sites. They strive to offer you a wide variety of firearm info in a whole new way. Fate of Destinee and The Arms Guide Destinee is the owner of both of these sites. 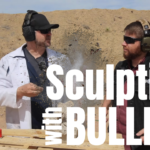 She is one of the most popular and prolific female gun enthusiasts on YouTube. She grew up around firearms, but when she purchased her first handgun, a Kimber SIS Pro 1911, her passion for the shooting sports was ignited. Now, she is an avid shooter, self defense advocate, and 2nd Amendment supporter. Destinee is a perpetual student, and enjoys burying herself in firearms research, expanding her gun knowledge, and sharing the information she’s learned with others. She has so much information at these sites and unbelievably amazing content on her YouTube Channel. You will learn a lot from her! The Survival Mom – Lisa Bedford is a multimedia force to be reckoned with. She focuses on preparedness from a woman’s standpoint, just straight forward ideas that women can use to make a better life for their whole family. She does have a subsection of her blog regarding firearms and self protection, and that is the reason I included her in this list. Check out her article titled, “Just for Women: 23 truths about firearms.” Share it with your other female friends. Lisa has a lot of great information for all areas of your life. 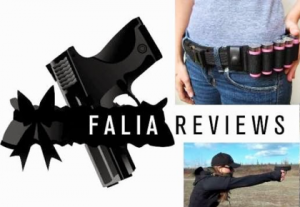 Falia Reviews Falia shares information on concealed carry firearms, gear, and survival. Her goal is to help prepare for a sustainable future in an uncertain world. She strives for health, happiness, simplicity, and self reliance. 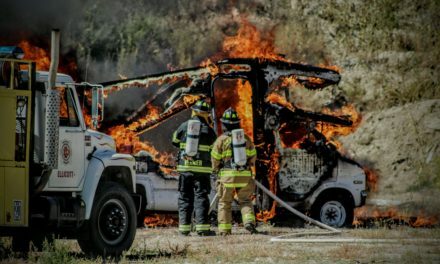 Before she was into guns, she lived and traveled in a VW van for several years, as a result, her blog contains so many posts about mobile-living as well. 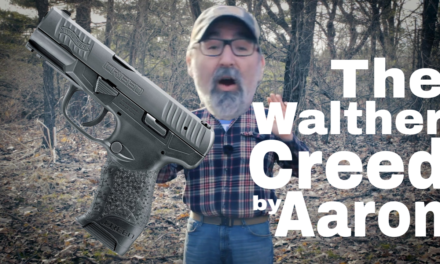 Her site caught my eye because she has one of the most amazing collections of conceal carry holster reviews, she organizes them by both holster and type of gun. She also has examples of different outfits a woman might wear, and how they would conceal firearms. A Girl and a Gun Club A Girl and A Gun Women’s Shooting League is a Ladies Only Organization established by women shooters for women shooters for pistol, rifle and shotgun sports! The league is designed to take beginners to whatever skill level they wish to achieve, and provide experienced shooters with more opportunities. The objective of some is to improve their skill levels for target and/or competitive shooting. Others, while wanting to improve their skills, also are interested in the aspects of self-defense. 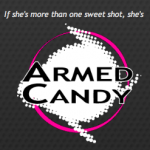 Armed Candy began with one girl, Gabby Marcuus, who was curious about firearms. She had lots of questions but was forced to hunt for each answer. She knew she couldn’t be the only one. So she started collecting and sharing her discoveries, and a community soon grew. As ArmedCandy developed, so did Gabby’s knowledge of shooting and the related industry. She began to realize that the world of firearms lacked the products female shooters desired. So Gabby took her background in design and her excitement about guns, and got down to business. ArmedCandy is a great source of information. Though growing, ArmedCandy strives to keep the perspective of an everyday girl. Additionally, Gabby is preparing to open The ArmedCandy Shop which will offer products that are hand selected or specifically designed for the ArmedCandy community. Go check out Gabby and her team of contributors! 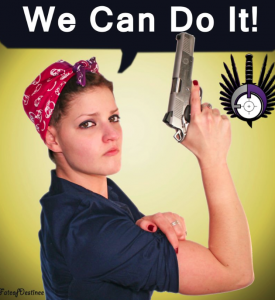 Gun Goddess Encourages others to have the confidence to take the first steps toward owning a gun and the education to become a skilled shooter. She has a lot of great gear, holsters, jewelry, sections on training and even a section for men and children. Gun Goddess is not only a place to find cute gear, but an educational resource and a way to connect with other like-minded women around the country! And for the men who love those women – all your future gift shopping is really easy! 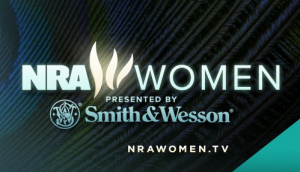 NRA Women NRA Women, presented by Smith & Wesson, is designed for female gun enthusiasts. It’s a resource for news, education, events and more. They have several series telling more stories of empowered women like you, for instance “New Energy”, “Armed and Fabulous”, “Tips and Tactics” (for women), and others. This is a great place to find inspiration and to get to the heart of what it is really like to be an armed woman! 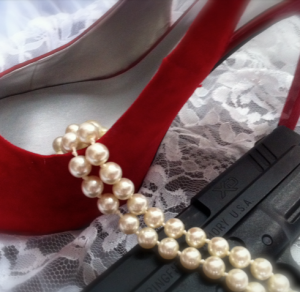 BONUS SITE: Heels and Handguns – This is my site! I am a gun enthusiast, long range shooter, and women’s shooting advocate. I share the things I learn on my site and share the remarkable adventures of other women who enjoy the shooting sports as well. You will find a lot of great information there about long range precision shooting, how my personal education in handguns is coming along, 2nd Amendment discussions, and lots of love for the military. Thanks to all for the support this far!